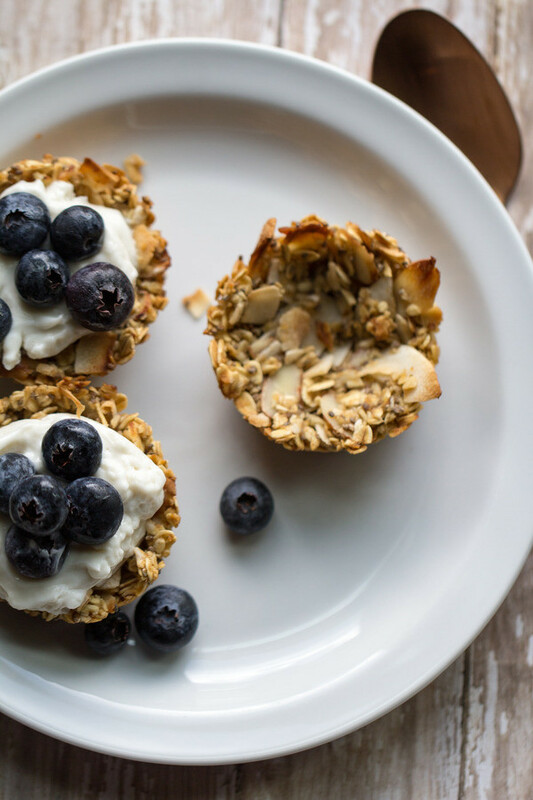 Quick and easy granola cups make the perfect grab and go breakfast or bite-sized snack. These healthy oatmeal cups are only 100 calories, gluten-free, and with only 8 ingredients, so simple to make! Who else wants a quick and easy breakfast? Are you busy in the morning? Do you want to eat breakfast, but feel like you don’t have the time? 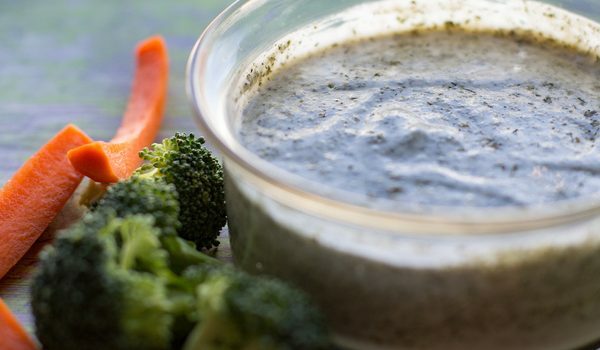 Do you need a healthy option that satisfies and tastes great? 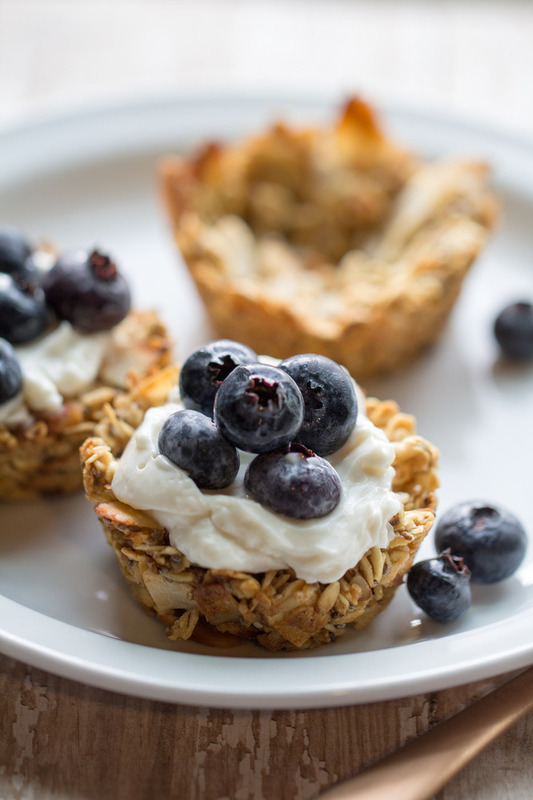 If you answered yes, these Quick and Easy Granola Cups are for you! When I weighed nearly 300 lbs, I would eat Pop-Tarts for breakfast every day. Actually, I would eat Pop-Tarts any time of the day- breakfast, snack, dessert, whenever! 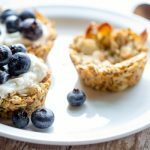 Now I eat a healthier breakfast like Ezekiel Bread toasted with almond butter or these Quick and Easy Granola Cups with dairy-free Greek yogurt and blueberries. It’s chewy, maple flavored and satisfying. Are granola cups good for you? Is granola healthy? Granola is full of fiber and iron, due to the oats. The nuts and seeds add heart-healthy unsaturated fats, protein and other nutrients. However, granola can be very high in calories due to added oil and sugar. Find out more about granola HERE. Now you can have your granola and eat it, too! These Quick and Easy Granola Cups have no oil, use maple syrup and applesauce to sweeten instead of sugar, so you can feel good about enjoying these little bite-sized beauties. These quick and easy granola cups make the perfect grab and go breakfast or bite-sized snack. 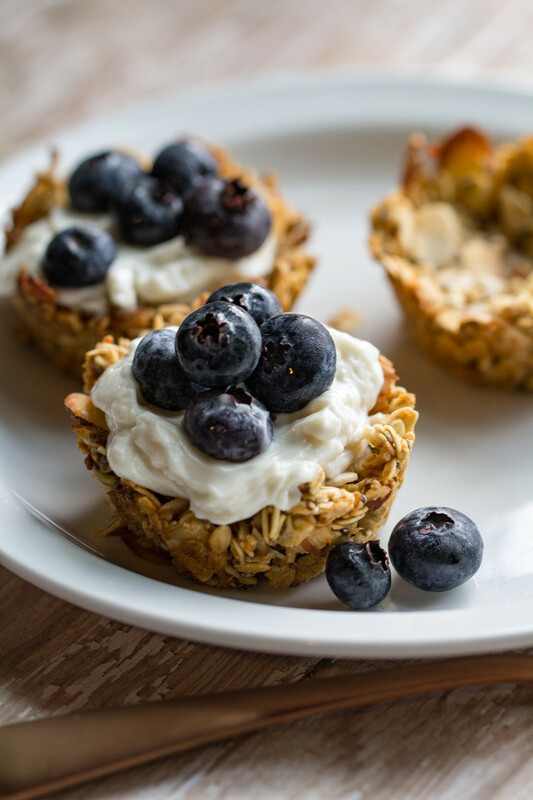 You can customize these healthy oatmeal cups to include your favorite add ins and to be gluten-free. 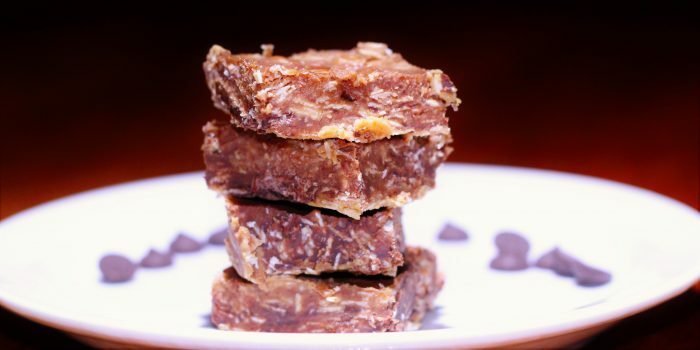 Only 8 ingredients and so simple to make! In a bowl, mix ingredients together. Mixture will be slightly loose, but should stick together. If not, try adding more maple syrup or applesauce, or refrigerate for 20 minutes. 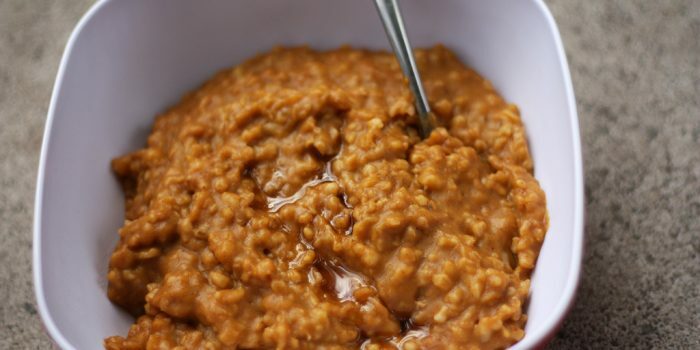 Spoon oat mixture into greased muffin tin. Press firmly and create a well in the center for filling. Bake for 12-15 minutes, until golden brown. Allow to cool before attempting to remove the granola cups. Fill and enjoy! Remember to PIN this for later! 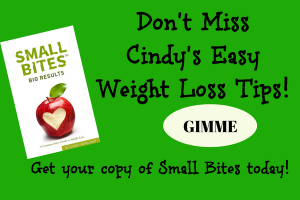 Make sure you follow on PINTEREST or FACEBOOK and find more healthy recipes! 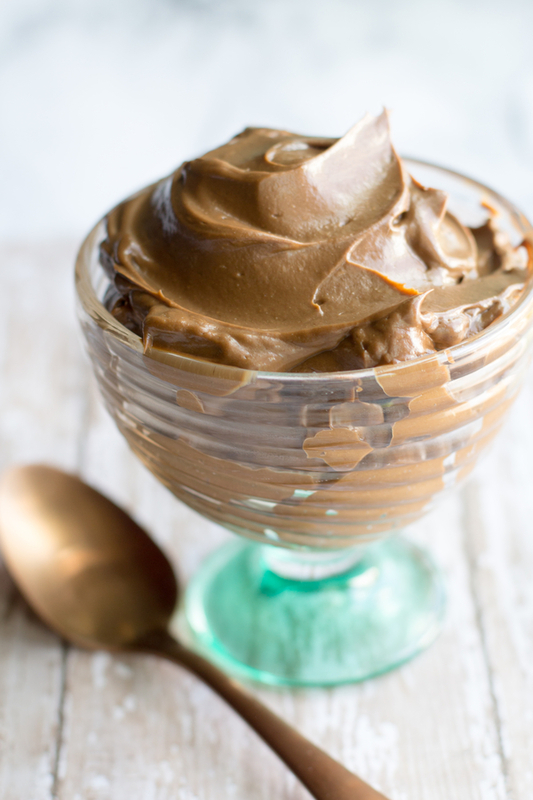 If you love these Quick and Easy Granola Cups for breakfast, enjoy them for dessert and fill them with this CHOCOLATE AVOCADO PUDDING!